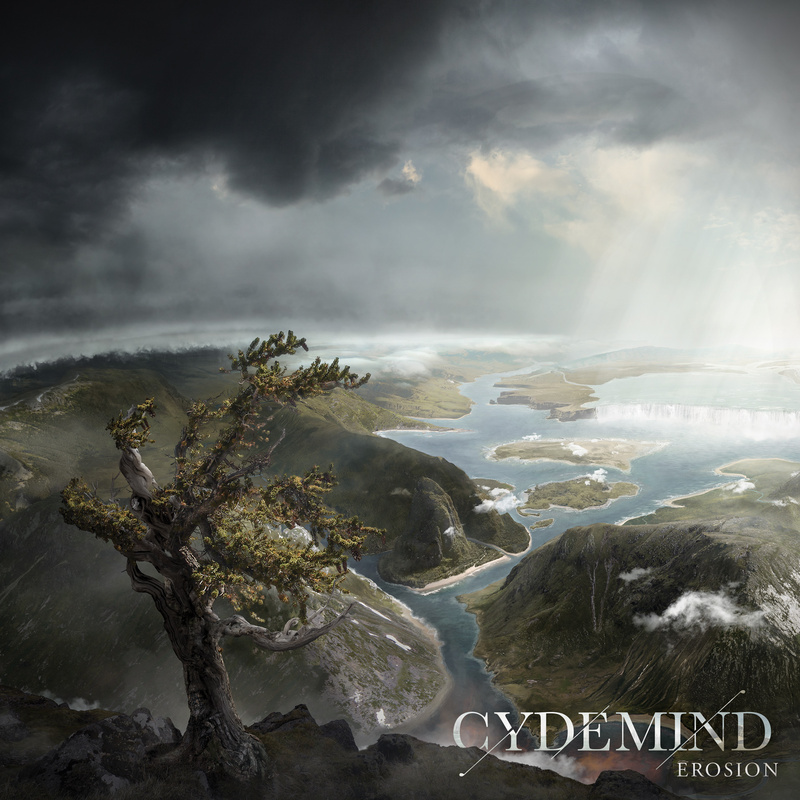 Influenced by bands such as Symphony X, Dream Theater, Haken, Plini, Rush along with classical, jazz and progressive rock, Montreal-based Cydemind will be releasing their first full length album Erosion on May 26th to follow their to 2014 debut EP Through Mist and Ages. The album offers a refreshing take on progressive music that is sure to attract interest from a wide audience, especially with classically trained violinist Olivier Allard, who leads the listener throughout the different moods of their compositions. Teaming up with us at Prog Sphere, Cydemind are premiering their next single “Tree of Tales.” Listen to it below. “After the release of our first single What Remains , we wanted to show another side of Cydemind. ‘Tree of Tales’ offers many different moods and time signatures. There’s some groovy drum and bass lines, lots of grand piano and of course Olivier’s violin shines on top of all that,“ explains guitarist and main songwriter Kevin Paquet. Erosion was recorded in Montreal at The Grid with producer Christian Donaldson (Cryptopsy, The Agonist, Beyond Creation, Neuraxis) along with additional recording of grand piano done at Studio 270. The release consists of six compositions including a 27 minute masterpiece of the album’s title track, making it the band’s most ambitious project to date. The album artwork was done by drummer and band co-founder Alexandre Dagenais along with lyrical poems included with the release written by pianist Camille Delage. The poems describe each composition as the album gravitates around the theme of nature and its persistence through time. Erosion will be available on iTunes, Bandcamp, Spotify and all other major online retailers as of May 26, 2017. Their first single “What Remains” is available for download on Bandcamp here.